On Tuesday, April 18, Operation Sunshine and CABR were honored by Stepping Stones with their 2017 Outstanding Volunteer Group recognition award. Operation Sunshine has raised over $200,000 for people with disabilities over 40 + years. CABR President David Welch, President-elect Phil Morrical III, Past President Patti Stehlin and CABR Staff Member Andy Clark were present at Stepping Stones Annual Meeting to accept the award. Thank you to everyone who has donated and volunteered for Operation Sunshine over the years. Without you, this award would not be possible. 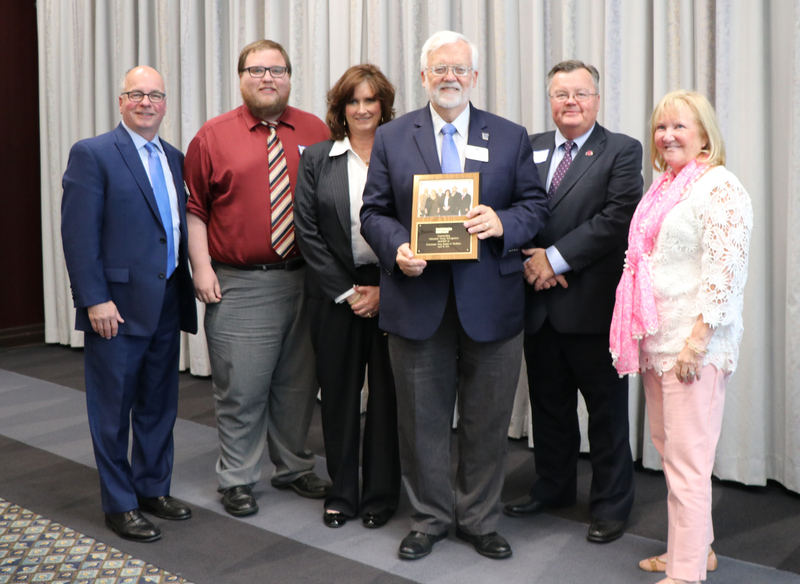 Pictured (left) Stepping Stones Executive Director Chris Adams, CABR Staff Andy Clark, CABR Past President Patti Stehlin, CABR President David Welch, CABR President-elect Phil Morrical III and Stepping Stones Programs Director Sam Allen.